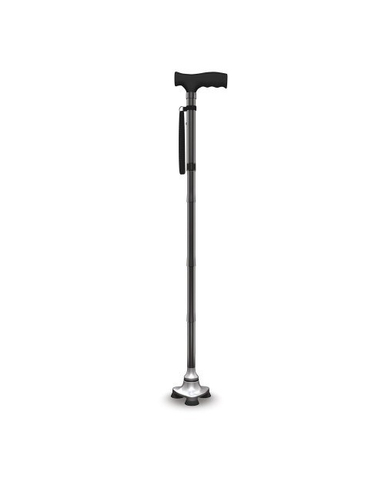 You might think its hard to get excited about a walking cane, after all they have been around for years. 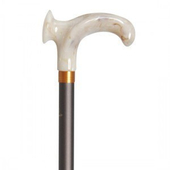 But this cane really stands out from the rest (pardon the pun). 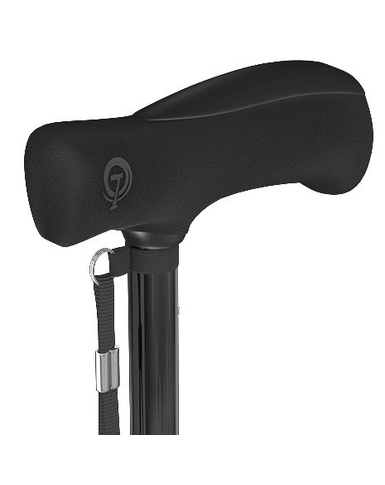 This walking stick features the latest technology and has become the number one selling cane in the USA - so when we saw it we knew we had to be the first to bring it to Ireland! 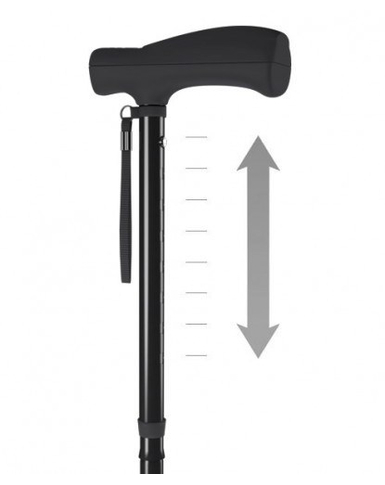 More than a traditional walking stick the HurryCane® uses 3 points of contact on the SteadiGrip™ base giving better stability asissting you to get up from a chair or car and to go up the stairs with greater peace of mind. 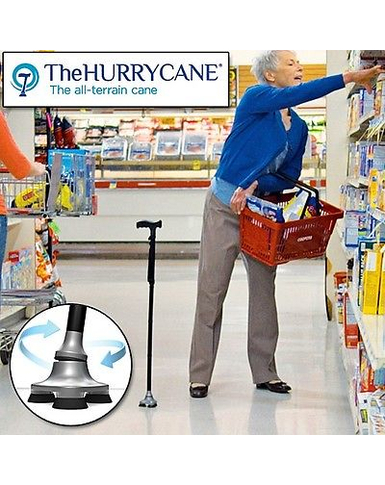 The special head of the HurryCane® automatically pivots to help you maintain balance on inclines, uneven ground and shifting terrain. 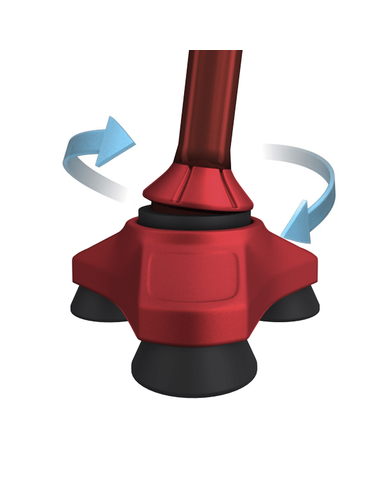 The stick will lengthen and shorten in seconds. 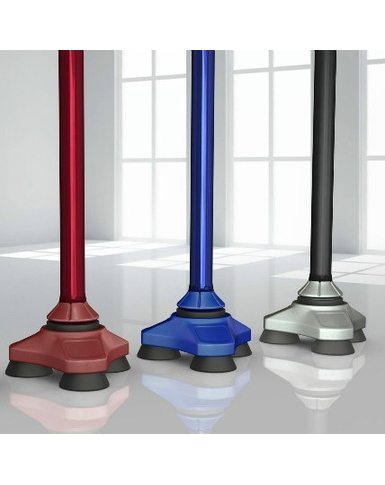 With a simple push of a button, it instantly adjusts to the right height. 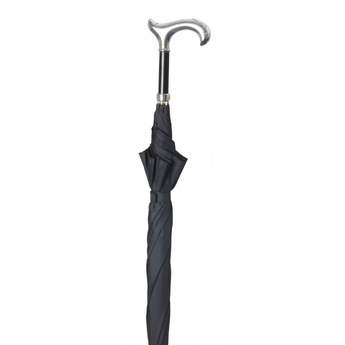 It folds up in seconds into a third of it's size to fit neatly into a purse or bag. 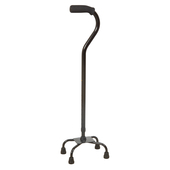 This walking stick makes a huge difference. Little things like it standing up on its own while I watch TV means i don't have to look around for it when I need it. I'm back today buying my third one, as a since I was given my one from my son for a birthday It's been admired so often and is so useful that it makes a great gift. Well worth the price and I'm extremely grateful to have one.